I'm not sure how it happened. Not only did the last month pass in the blink of an eye but I don't see how we celebrated our baby's first birthday already. A girls (and baby girls) getaway weekend to the mountains, two parties, and three snow days capped off with a stomach flu made our cold month fly by. When my daughter was born a year ago I knew starting another 'baby phase' meant potentially two more years of a nursing baby dependent on me and the schedule that entails. I'm so grateful to have friends that not only wanted me to come away for the weekend with them but also didn't blink an eye at letting me bring a baby on a moms' getaway trip! We stayed at a beautiful house in Cashiers, NC. Although I'm sure it would've been more relaxing to go alone, I'm just not at a point in my life that leaving my baby home would feel like a vacation. She enjoyed all of the attention that she got and the chance to be spoiled. The house had a sandy beach and dock and I enjoyed the chance to take some photos in the sunshine. 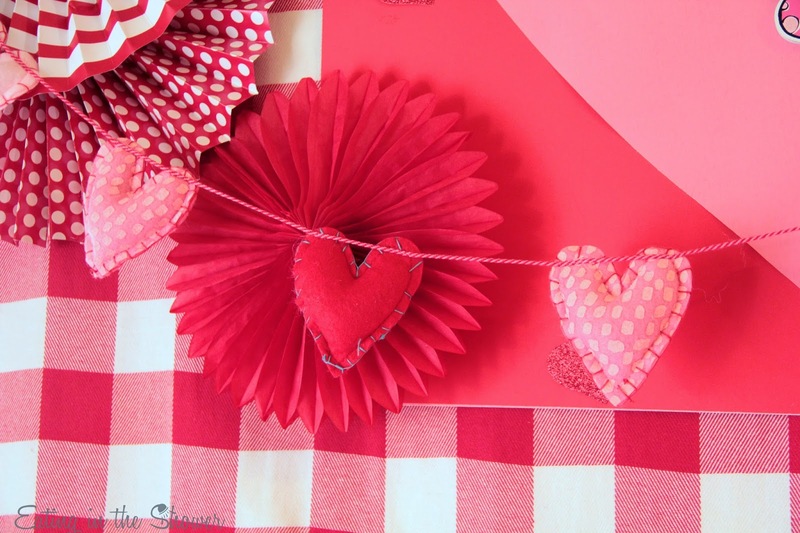 February was just filled with sweet smiles, sweet friends, and so many sweet desserts! I made three cakes this month, 4 dozen cupcakes, rice krispie pops, cookies, and polished off a box of chocolates. A few of our friends and their littles helped us celebrate a 'Bee Mine' first birthday on Valentine's Day. 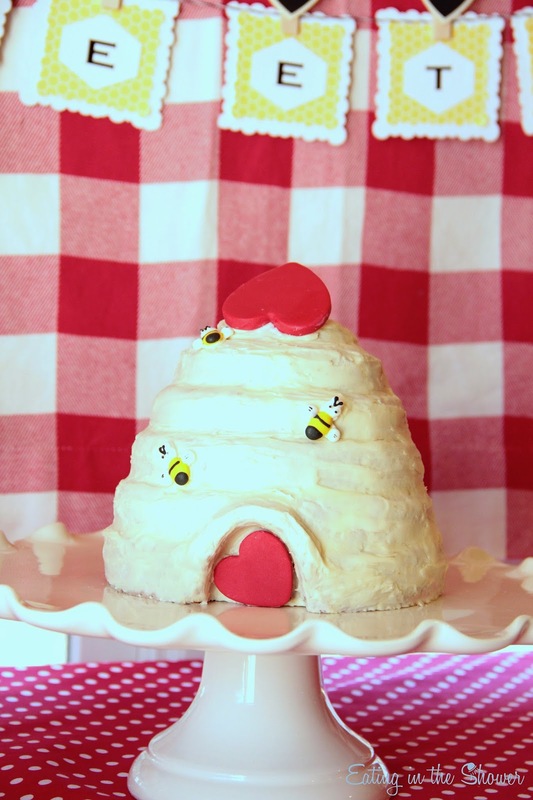 I made this beehive cake with little sugar bees and a heart door and topper. 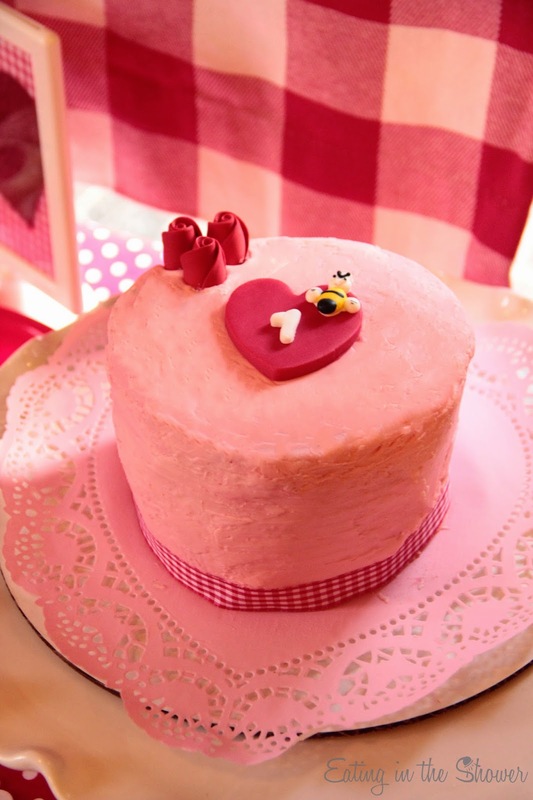 I also made a little strawberry smash cake for the ever adorable 'first taste of cake' photos. 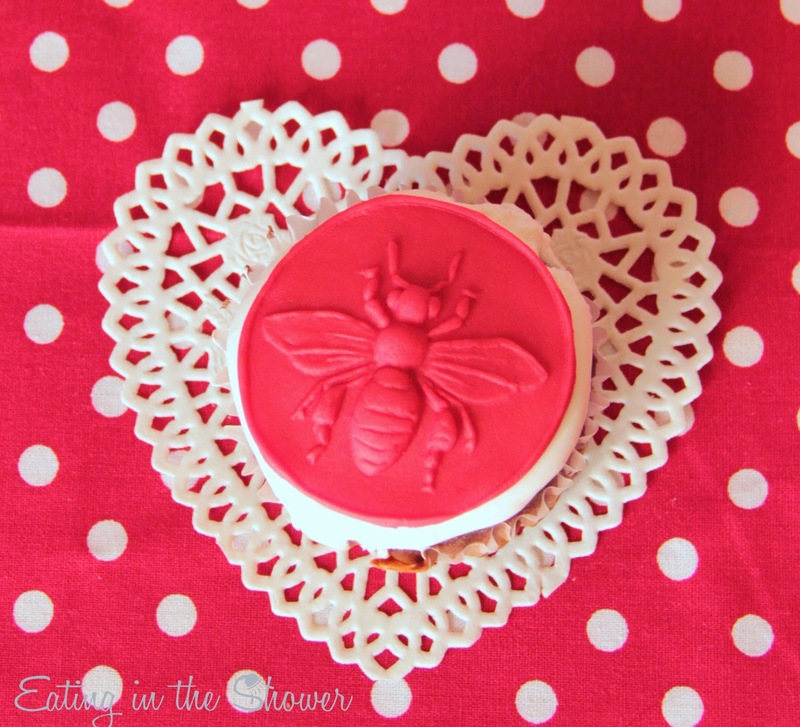 I made cupcakes with marshmallow frosting and fondant bee toppers. 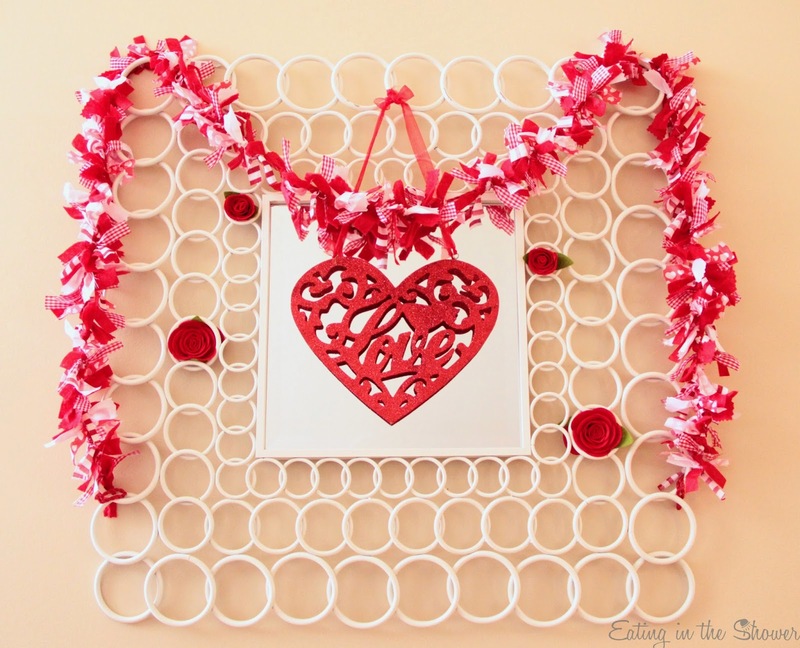 I had way more fun with the 'Bee Mine' theme than I thought I would and was left wondering how I waited this long to have a Valentine's Day party. 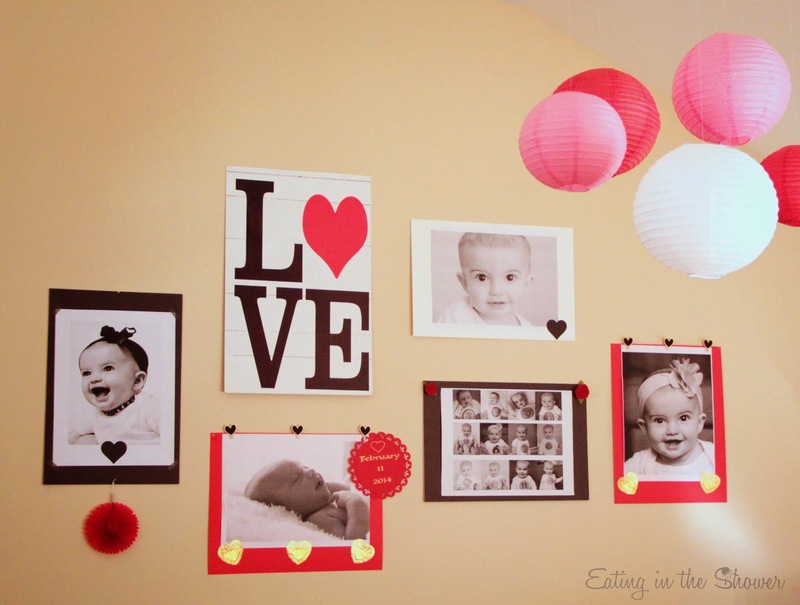 I covered our living room wall with giant photos from the baby's first year including a collage of 12 months of photos. I'll share the details on how I did it for less than 10$ and other details from her party soon! 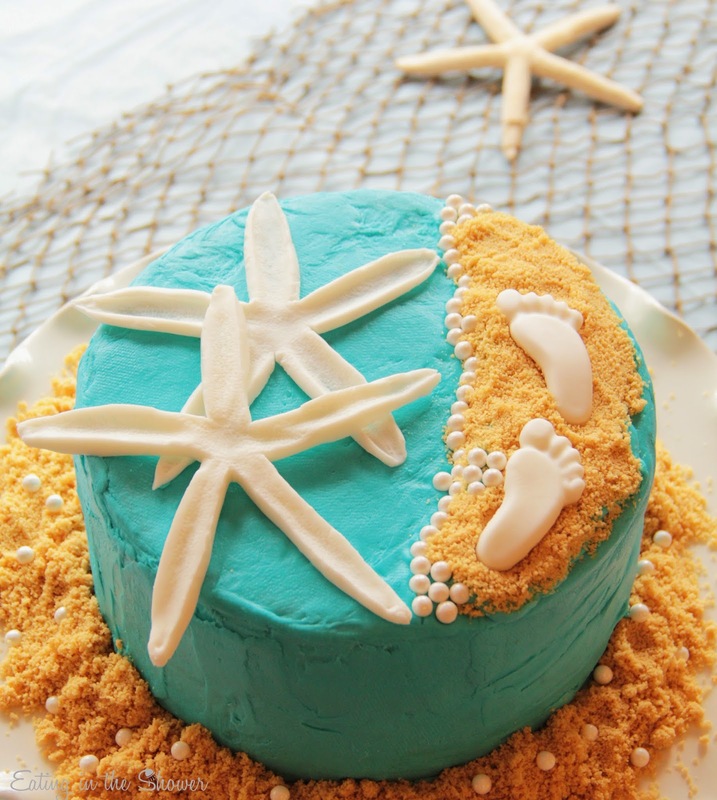 The month of sweet moments ended yesterday with a beach themed baby shower and I made this 'baby footprints on the beach' cake for it. I'm looking forward to March with plans to do a ton of spring cleaning, organizing and projects, helping out at my son's school, warm weather (I hope) and taking a short break from parties. I'll share more photos and details from the 'Bee Mine' party this week and also some new projects I've been working on soon!